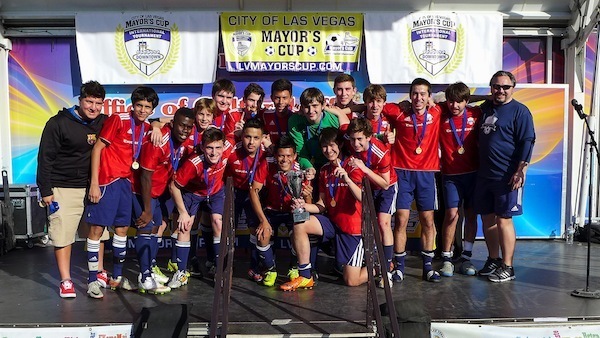 A great weekend for our U17 and U19 boys teams at the Las Vegas Mayor's Cup International Tournament & Showcase. 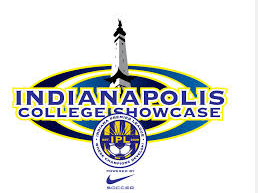 Our teams went a combined 3 wins, 2 losses and 3 ties against teams from Nevada, Nebraska, Idaho, Colorado and Montana in one of North Americas largest International College Showcase tournaments. Our U19 team, consisting of our Junior and Senior boys, narrowly missed out on advancing to the semifinals after conceding a late goal to tie against the second ranked team in Nebraska, finishing with a record of 2-1-1. Our U17 boys, which consisted of a combination of our Freshman and Sophomore players, had a tough opening day but rebounded to go undefeated on Sunday, which included beating the 8th ranked team in Nevada in their final game. It was a great weekend and all the players and parents enjoyed all the sights and sounds that Las Vegas had to offer. 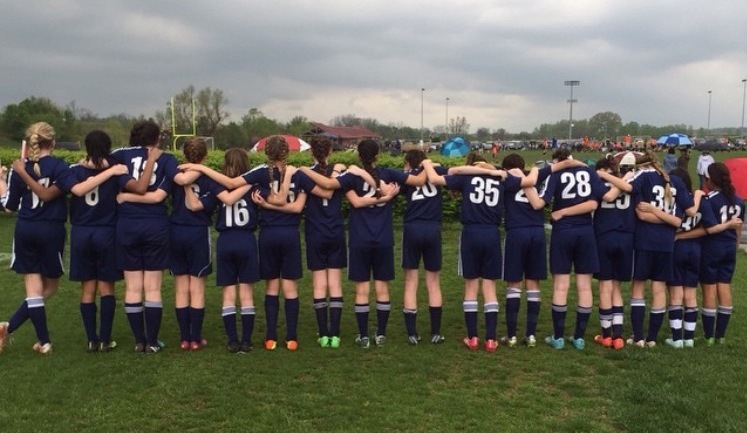 Congrats to 25 Edge teams that battled it out at SoccerFest 2015 in Schaumburg over the weekend. 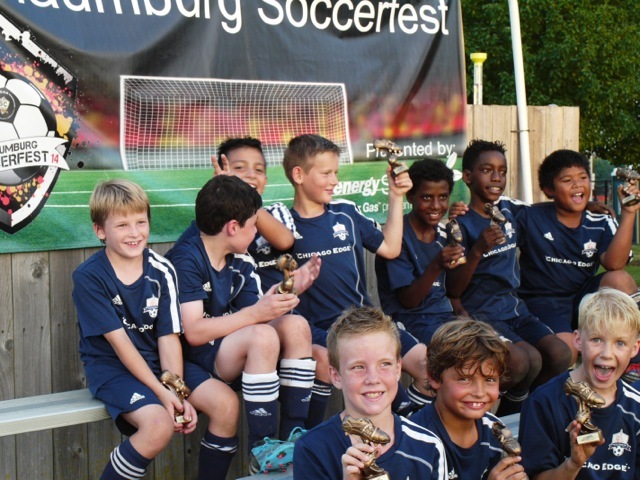 Six teams made a championship final: U10 Boys Select, U11 Boys Premier, U11 Boys Select, U11 Boys Competitive, U14 Girls Select and U14 Boys Premier. 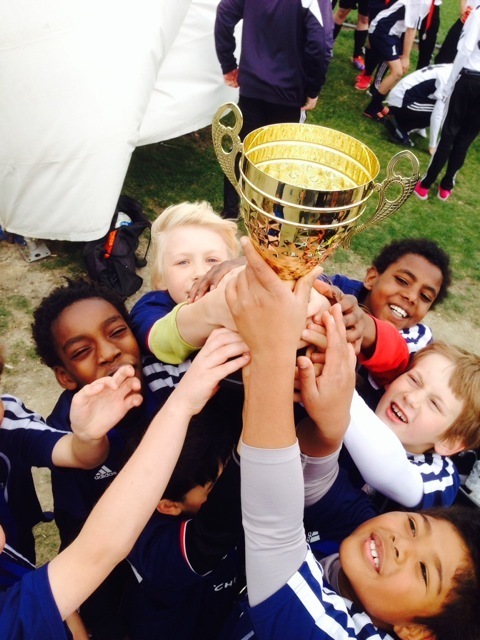 Two teams -- U10 Boys Select and U11 Boys Premier -- won their finals and took home the trophy. 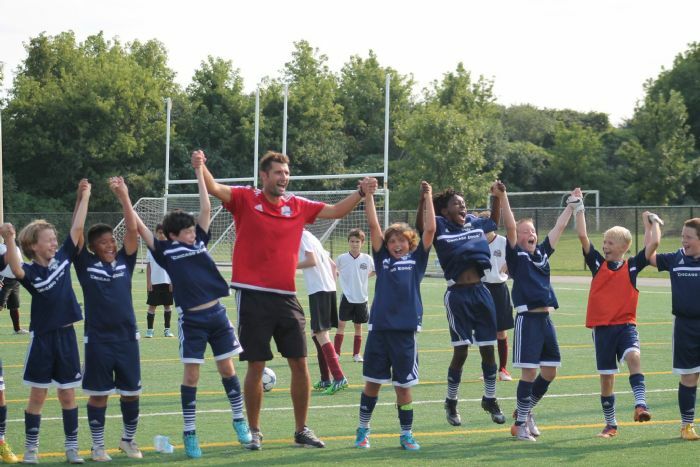 In Saturday's first game, the boys defeated LTSC BU10 Premier 3-2 on a goals from Tej Menon and BU10P subs Oscar Quinn-Pasin and Titus Wilson and goalkeeping from Henry Roloff (4 saves, 1 goal) and Matiss Simitz (6 saves, 1 goal). In Saturday's second game, the boys defeated Elmhurst FC U10B 5-1 on goals from Oscar Quinn-Pasin (4) and Titus Wilson, assists from Jonathan Schiff, Marco Ilic and Matiss Simitz, and goalkeeping from Matiss Simitz (3 saves) and BU10P sub Aubrey Silvetti-Schmitt (3 saves, 1 goal). In Sunday's game, the boys defeated AYSO Extra Black on goals from Tej Menon, Patrick Crilly, Matiss Simitz, Trevor Raymond (2) and Santiago Barillas, assists from Patrick Crilly and Zack Saylor, and goalkeeping from Henry Roloff (3 saves) and Patrick Crilly (3 saves, 3 goals). In the championship game, the boys defeated Chicago Kickers U10 Red 2-0 on goals from Zack Saylor and Matiss Simitz and goalkeeping from Henry Roloff (5 saves) and Nolan Vitale (4 saves, including a PK). Every player on the roster played in at least one of the games, and every player on the field contributed from kick-off to the final whistle. After receiving their medals and championship trophies, the boys celebrated with a Mother's Day photo. 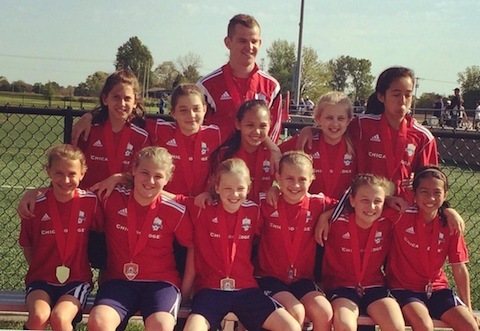 Our U11 Premier Girls won the Metro East Legacy Spring Classic tournament in St Louis at the weekend. The girls played against teams from Missouri and downstate Illinois and won all their games scoring 11 goals in the process and only conceding 1. The team was coached by Kevin McVeigh. This is the second downstate championship won by a Chicago Edge team this month after the U13 Boys win in St. Louis a few weeks ago. Great job girls!! Chicago Edge had a banner weekend at the Scott Gallagher Spring Classic tournament in St. Louis with 3 of our 4 teams making their final with our U13 Premier boys bringing home the championship trophy. 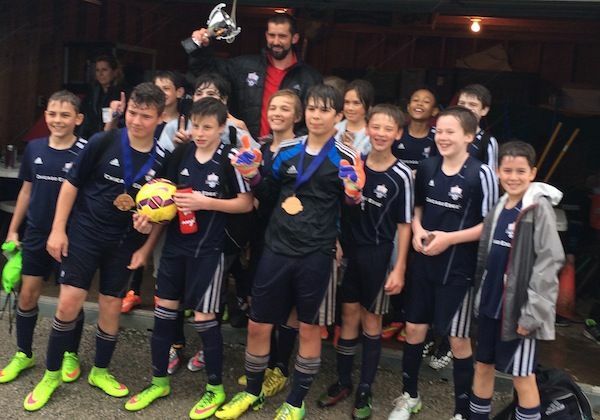 The U13 boys defeated 3 Missouri teams on the road to beating local club Lou Fusz in the final, winning on previous results after the championship game was abandoned at 1-1 due to a rain storm in an exciting final match. Our girls U13 Premier and boys U10 Premier teams also made the final after winning their groups, losing close Championship games against teams from Missouri and Kansas City. Our U10 Premier girls team remained undefeated throughout the tournament against teams from Indiana and Missouri, but narrowly missed out on advancing to the final only on goal difference. Well done to all the players, we are proud of you, and a big thanks to all the parents, team managers and coaches for handling all the logistics. 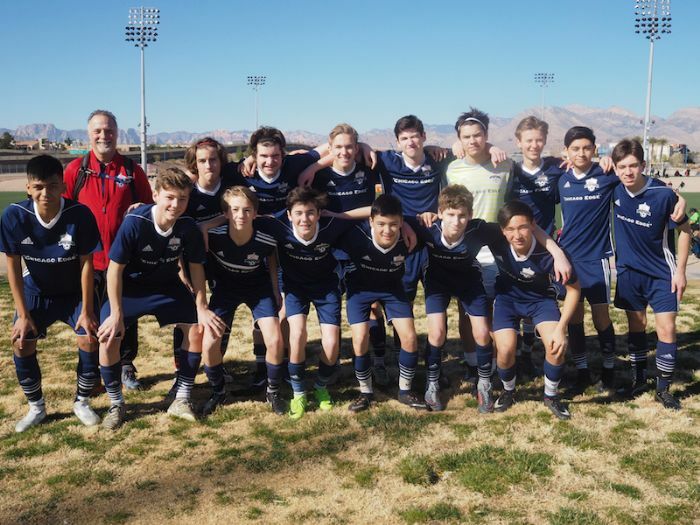 It was the club's most successful out of town tournament to date and follows on from the club's first out of state championship won by our U17 boys in Las Vegas in February. Congratulations to our Chicago Edge U17 Premier Girls and U17 Premier Boys, who put together their best ever showing this weekend at the Las Vegas Mayor's Cup College Showcase tournament. In front of dozens of college coaches the U17 girls went 3 and 0 to win their group against teams from Nevada, California and Colorado, scoring 5 goals in the process without conceding. They narrowly lost 1-0 in a great game against Surrey United from Vancouver in the quarter finals. The boys won their group against teams from Utah, New Mexico and Nevada and advanced to the semi finals where they defeated FV Strikers from St Charles 3-1 which included a goal from the halfway line from David Senk. 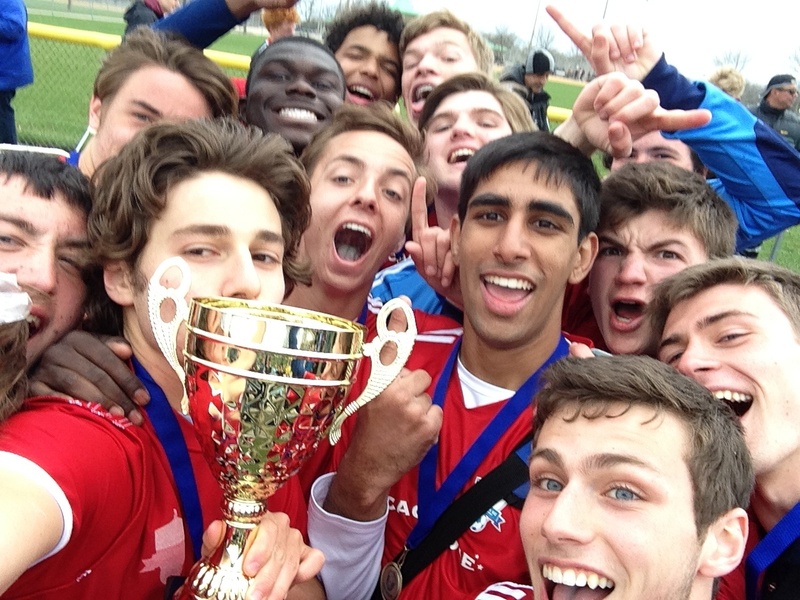 In the final they won 1-0 in extra time against the Chicago Fire Raiders with a goal from Evan Kindler to take the first out of State Championship in the club's history. Our Boys Premier teams at U14, U16 and U17 and our Girls Premier teams at U15, U16, U17 and U18 took part and competed against teams from Michigan, Ohio, Indiana, Missouri and Kentucky. 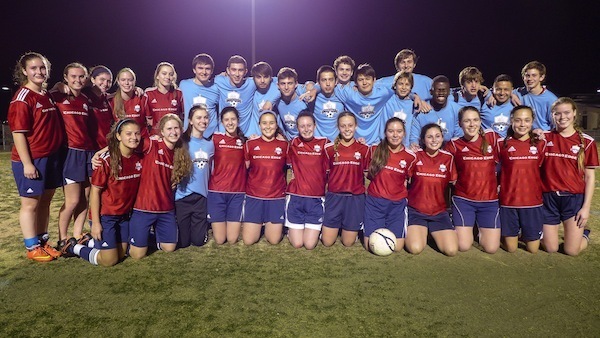 There were some excellent performances by our teams with our U17 Boys Premier and U18 Girls Premier going undefeated. Many of our players catching the eye of college coaches from throughout the country. Congratulations to our Chicago Edge U13 Boys Premier team, who finished 2nd in the Premier bracket in the Nike Classic Cup in Schaumburg. 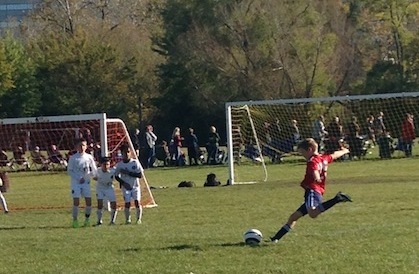 In group play the tied a Magic team and beat Fox Valley Strikers and the Oswego Panthers. In the final they were beaten by the Milwaukee Bavarians. Boys U10 Premier played in the top U10 division and had a good showing, playing games against a team from Michigan as well as Magic and Sockers. Well done boys! 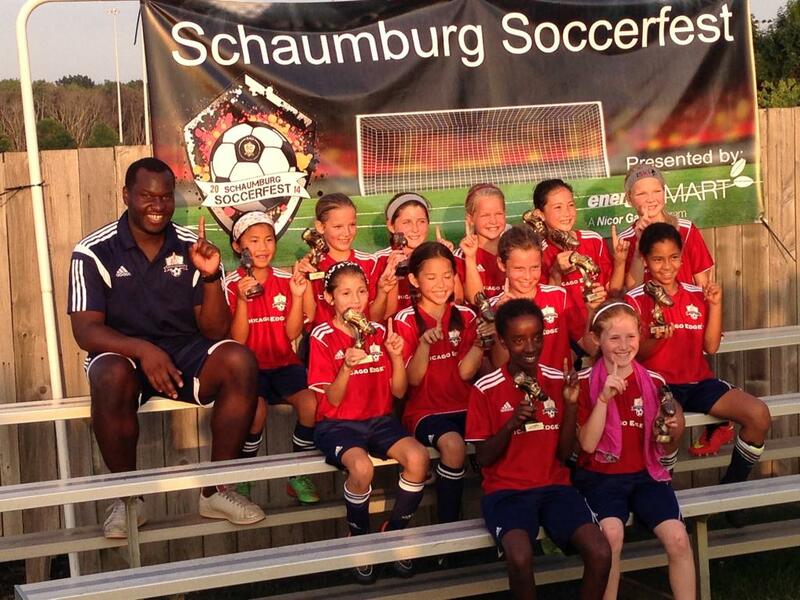 Chicago Edge sent almost 30 teams out to the annual Schaumburg Soccerfest this weekend at Olympic Park in Schaumburg. Despite some strong storms on Saturday it was an excellent weekend for the coaches to get to know the players prior to the fall season starting. Our U10 Premier Girls and U13 Premier Girls teams took home their respective Championships, and there were runners up spots for our U10 Boys Premier, U11 Boys Premier, U17 Premier Girls teams and our U18 Girls Premier (despite winning all their games and not conceding a goal! Congratulations to our Chicago Edge U9 and U18 Boys Premier teams, who won this weekend's Nike Cup, run by Sockers FC in Schaumburg. It was a strong showing by all the Edge teams that participated with our U15 Boys and U16 Boys also making the final. There were some strong showings all round with victories for our teams over the host club Sockers, as well as wins over teams from Michigan, Wisconsin and Missouri. Congratulations to our Girls U10 Select and their coach Kevin McVeagh for being a finalist at the Lakers Fall Classic this past weekend. They won two of their three group games and ended up losing in the final against a strong team from Lindenhurst. Well done, girls!! 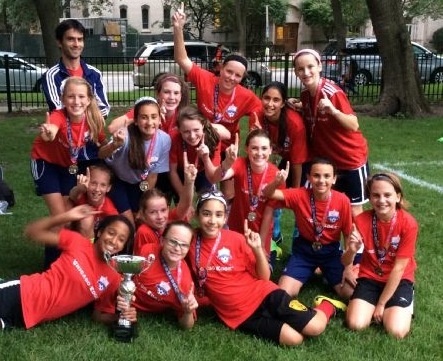 Congratulations U11 Premier Boys and U15 Premier Girls! 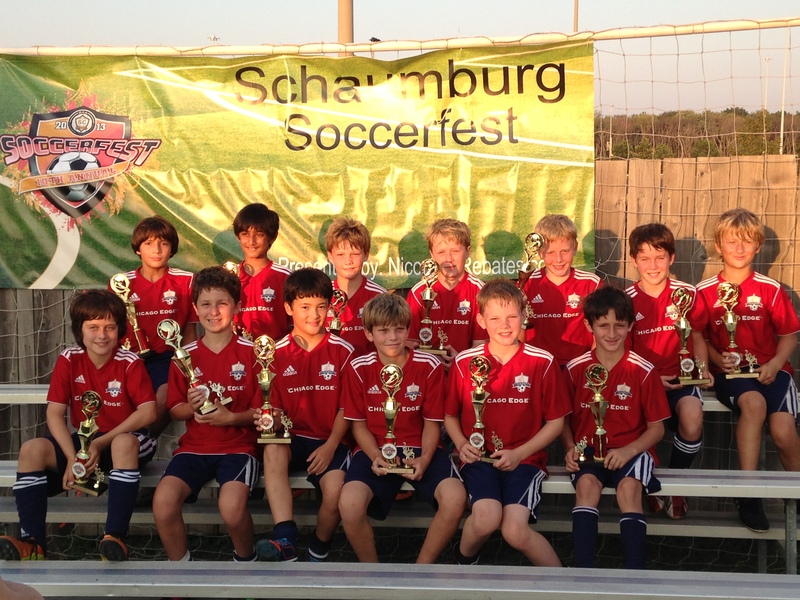 BU11 Premier won the championship in the white division at the 2013 Schaumburg SoccerFest. The team went undefeated in pool play with victories over Team Elmhurst Premier (7-0), Oak Brook SC (3-2) and LTSC Premier Blue (3-0). In the final, the Premier team downed FC Peoria Navy by a score of 4-1 to bring home the title. GU15 Premier won their championship game in a nerve racking penalty shootout against Libertyville Premier in the red division. They beat Grove United (4-0), Bolingbrook (4-0) and Oak Brook (3-0). Overall they outscored their competition throughout the tournament 12-1 with 6 girls contributing goals and a very strong showing of their GK. We also had four other teams that reached championship games, but unfortunately could not pull out a win in the final. GU12 Premier lost to a strong team from Springfield, the GU13 Premier, GU14 Premier and BU12 Premier all lost by only one goal in the finals in very exciting close games. Thanks to everyone who played in the tournament this weekend. It was great to see Edge teams and their families around the complex, enjoying the sunshine and excellent competition that was on display.